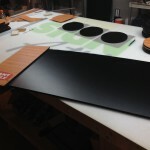 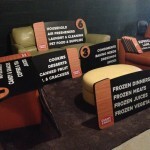 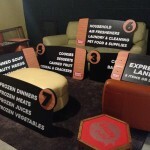 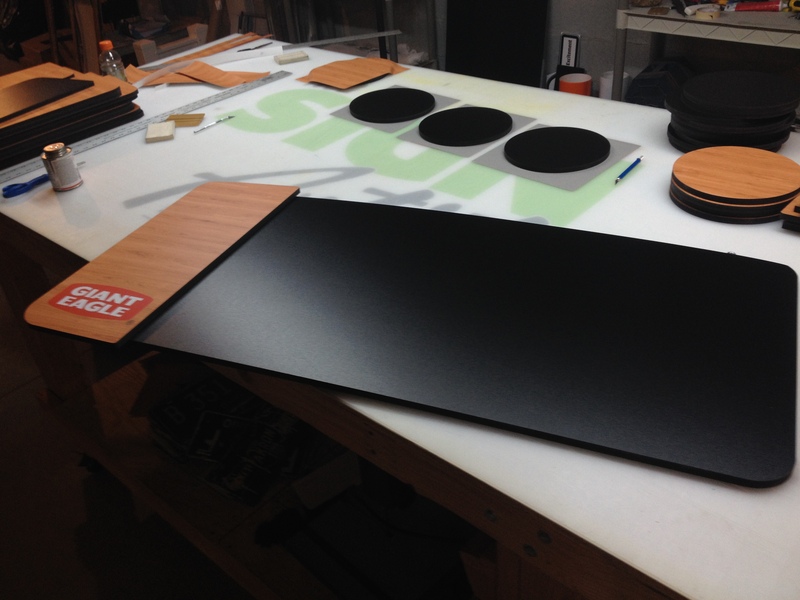 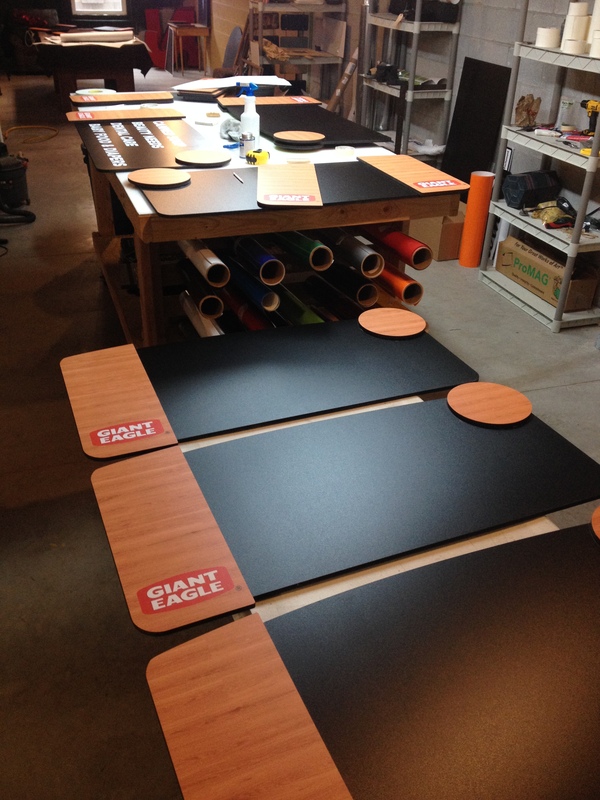 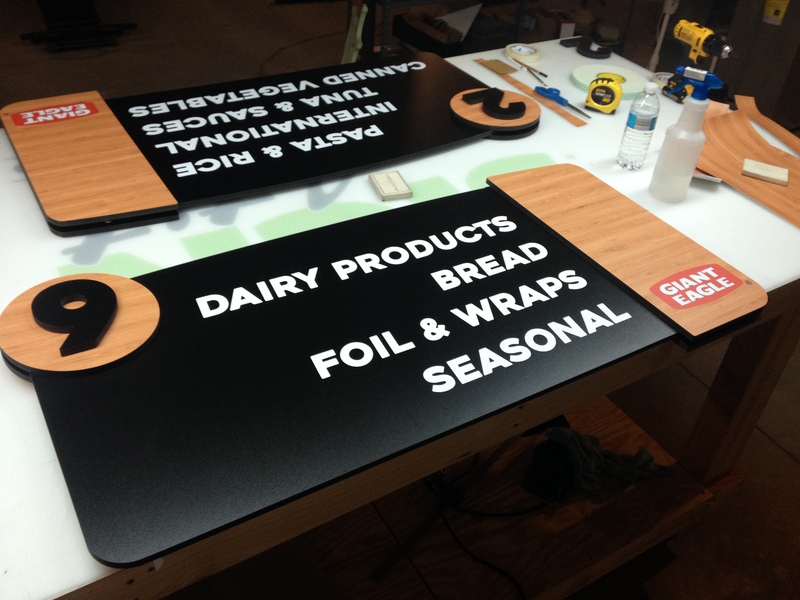 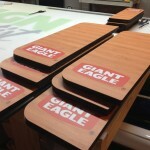 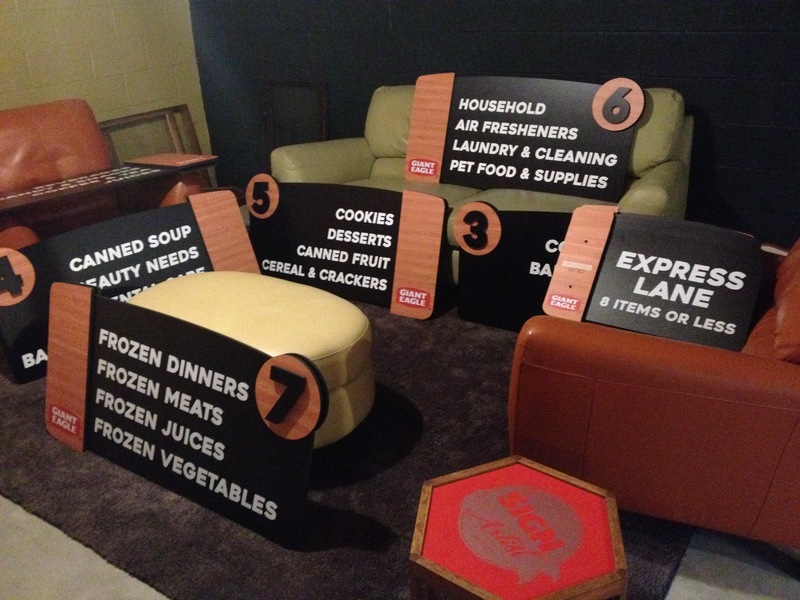 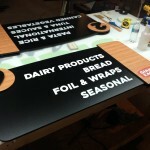 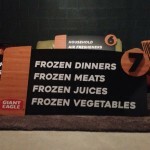 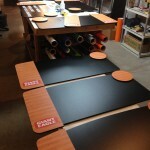 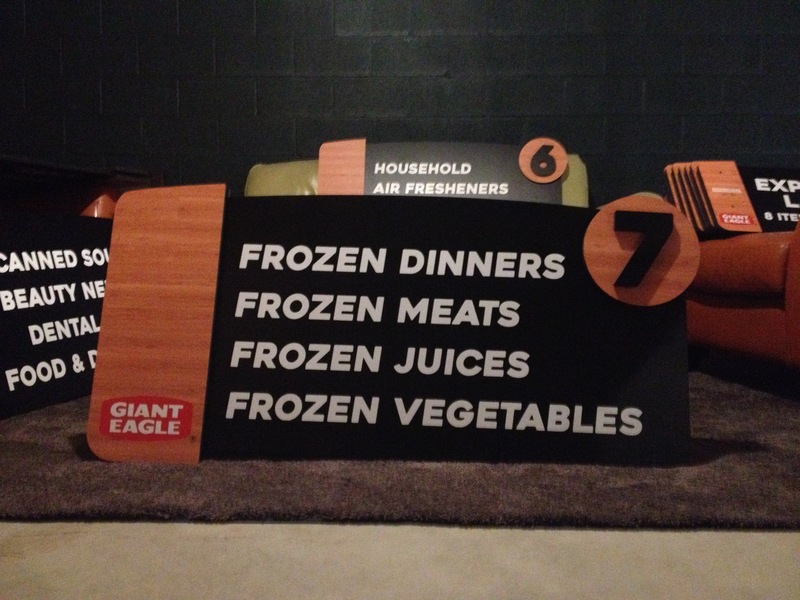 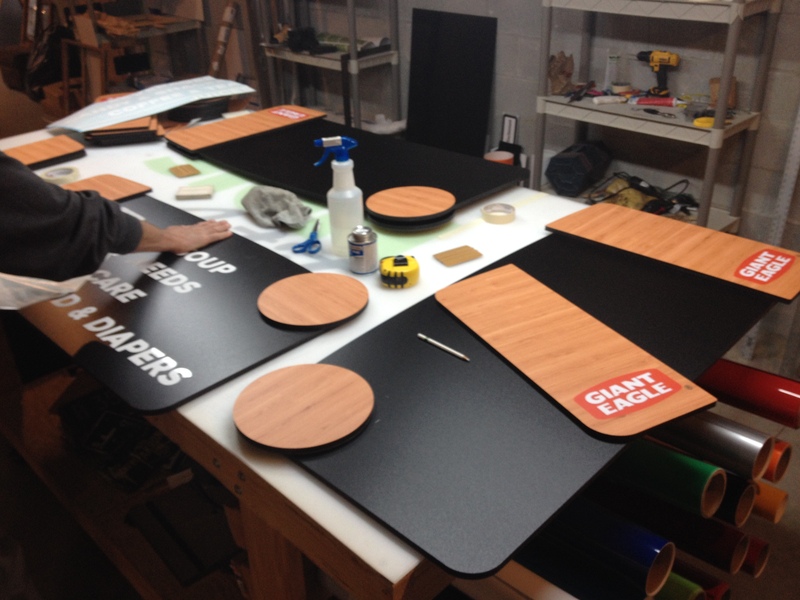 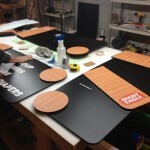 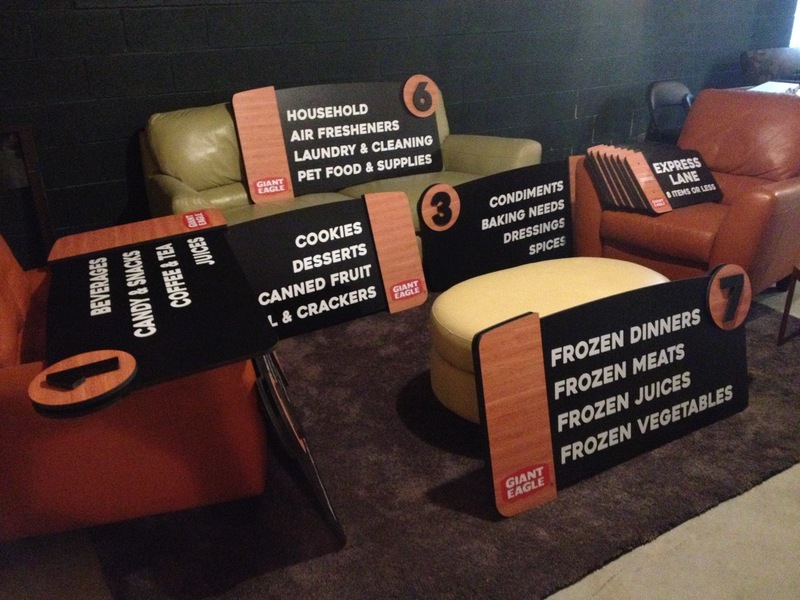 Custom Interior Grocery Sign Package for Giant Eagle. 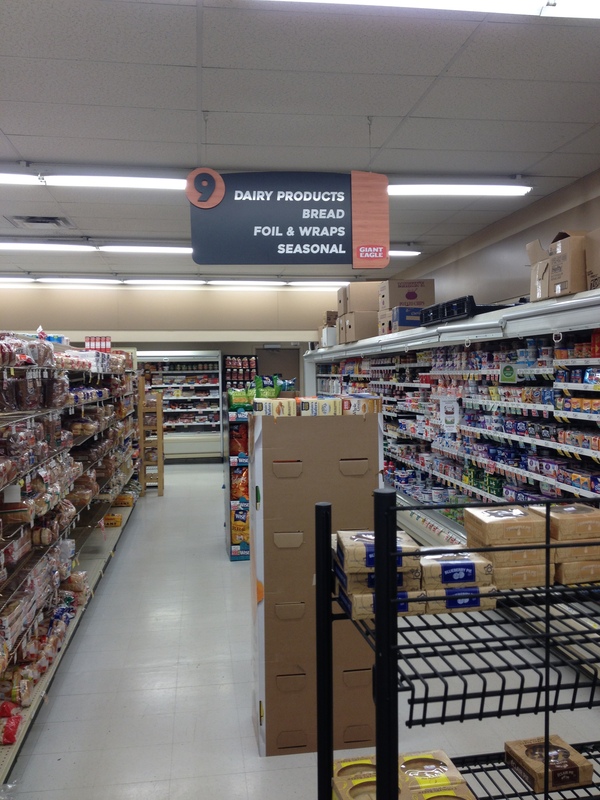 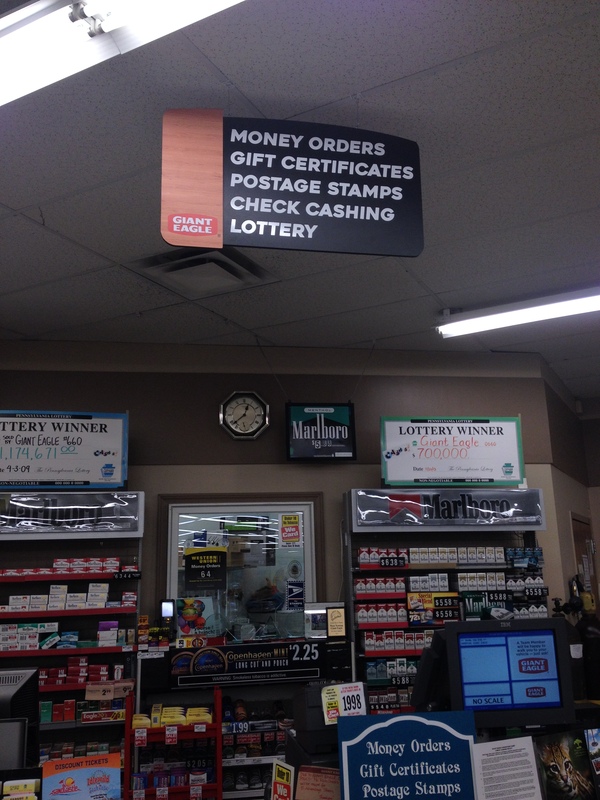 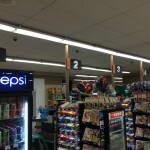 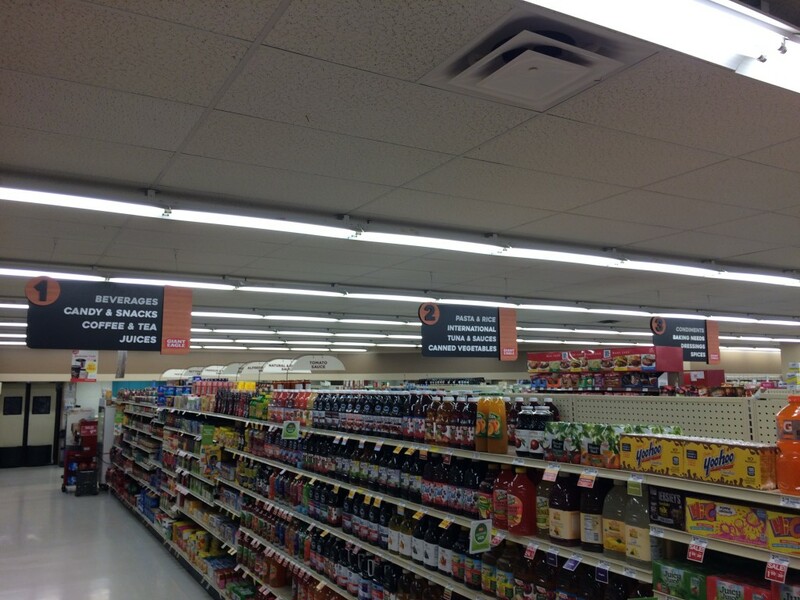 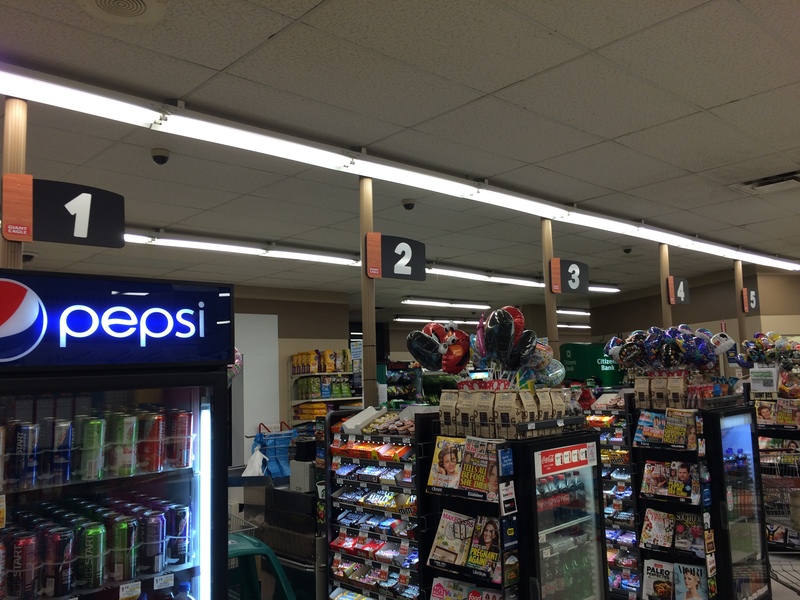 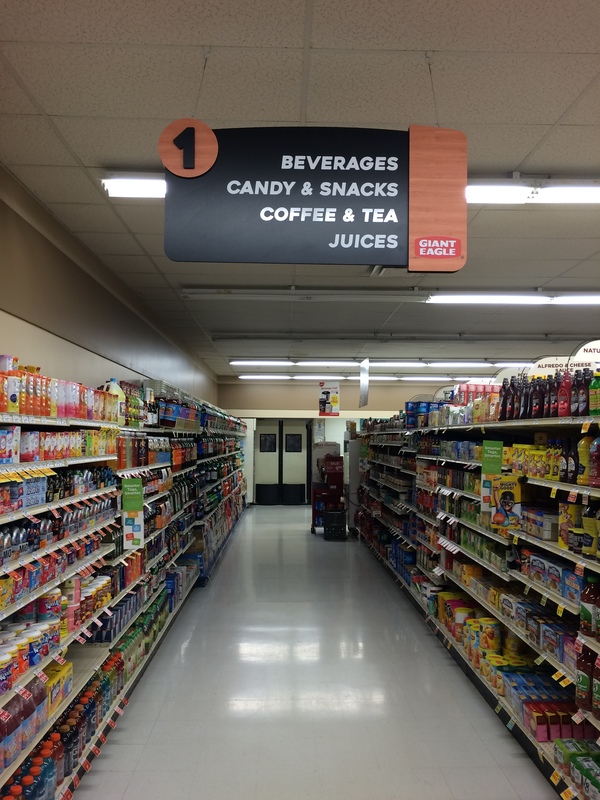 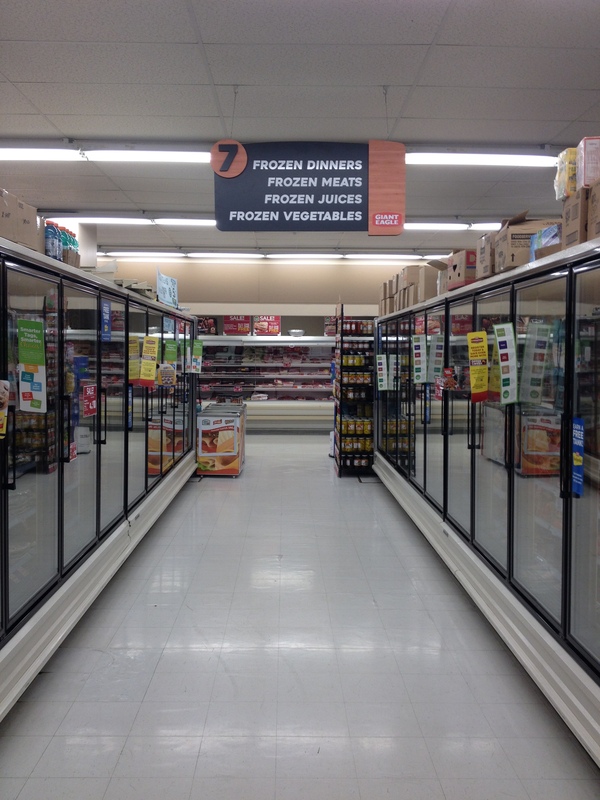 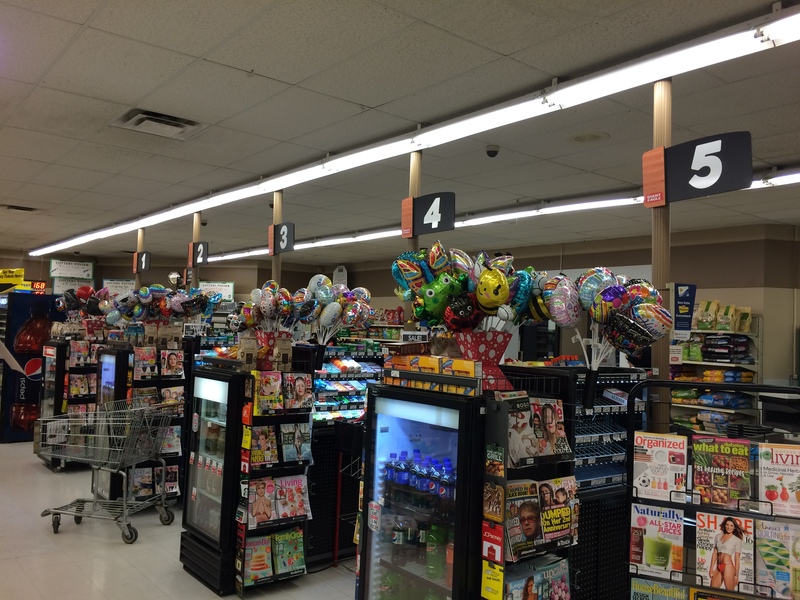 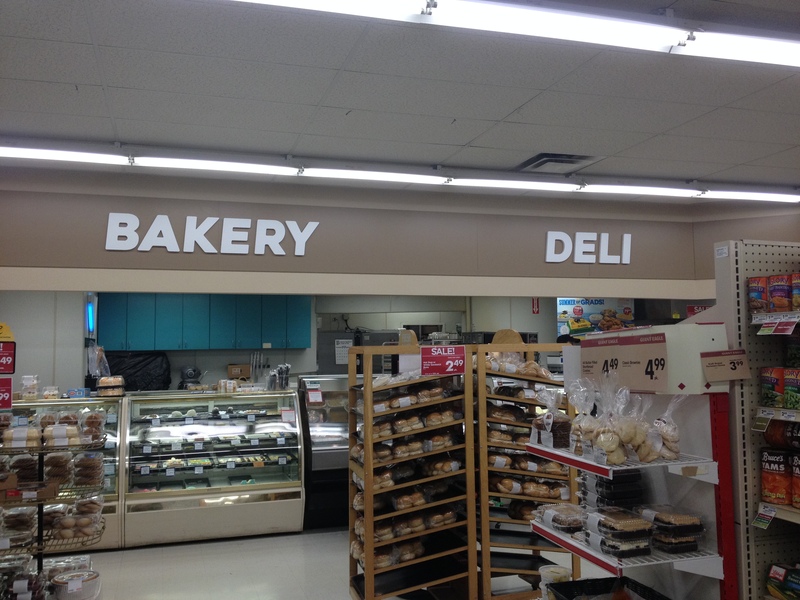 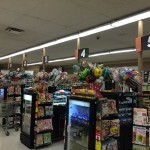 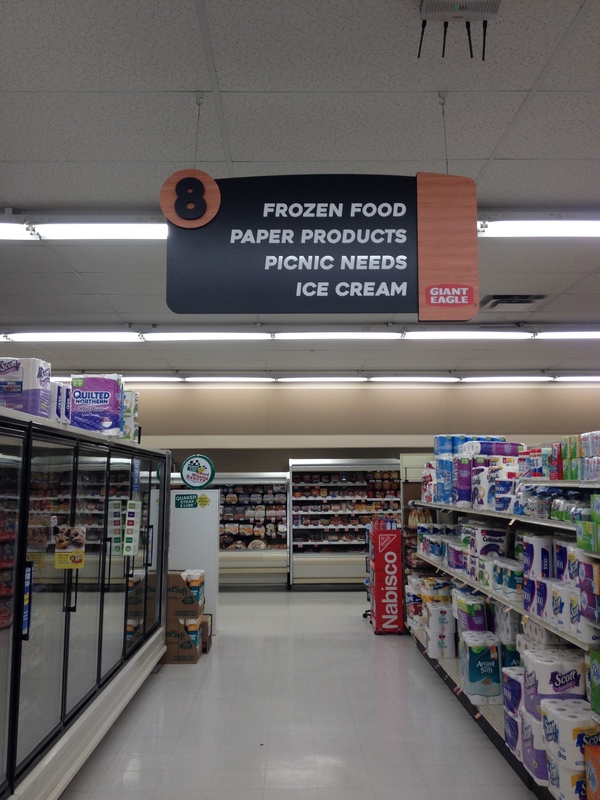 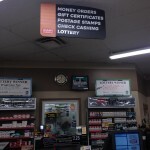 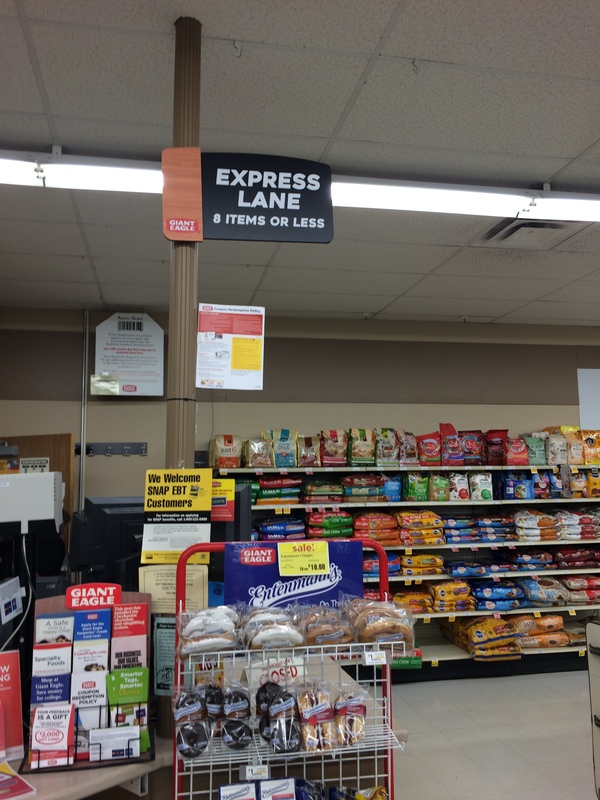 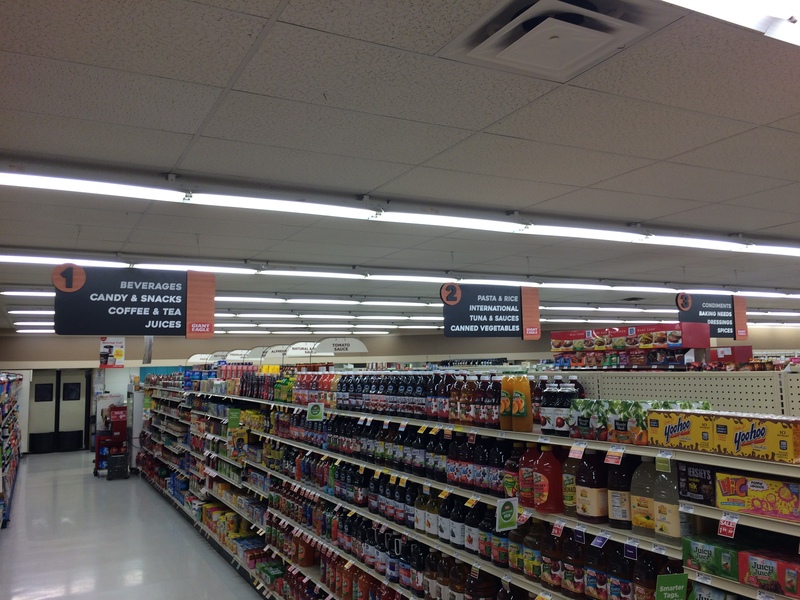 We were approached by Giant Eagle grocery store in West Newton, PA to provide a custom, affordable option for their new aisle signs and lane markers as a part of their remodeling effort. 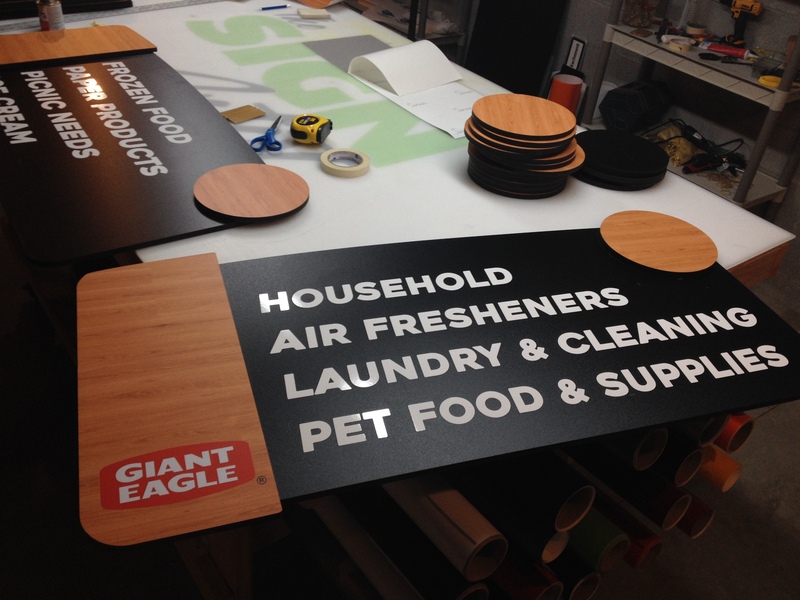 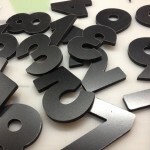 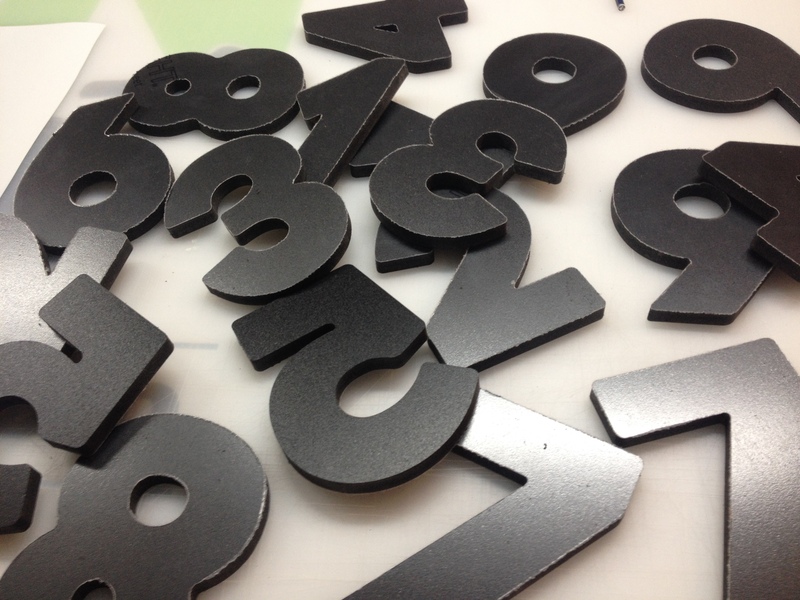 We chose PVC as the sign substrate for its light weight and durability. 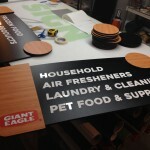 Stacking and gluing the PVC provided a way to add dimension to the signs. 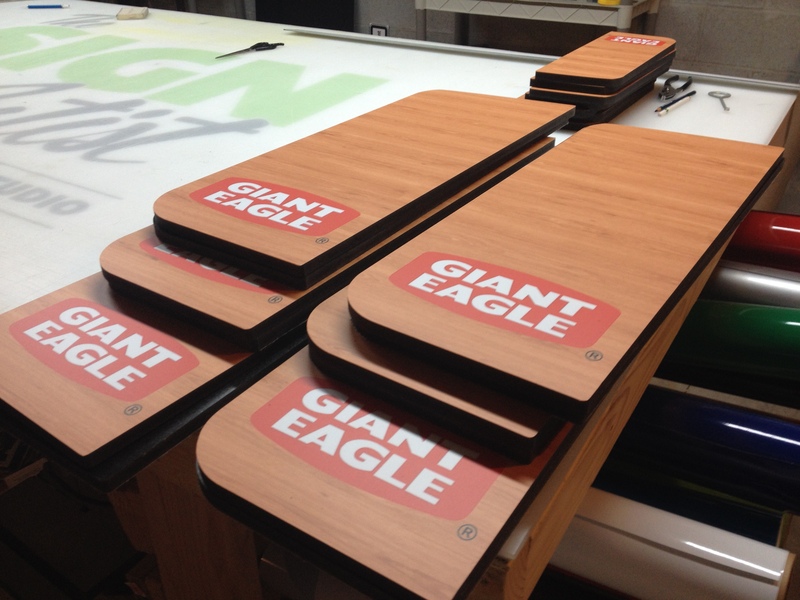 We digitally printed the wood grain and added a protective laminate for easy cleaning. 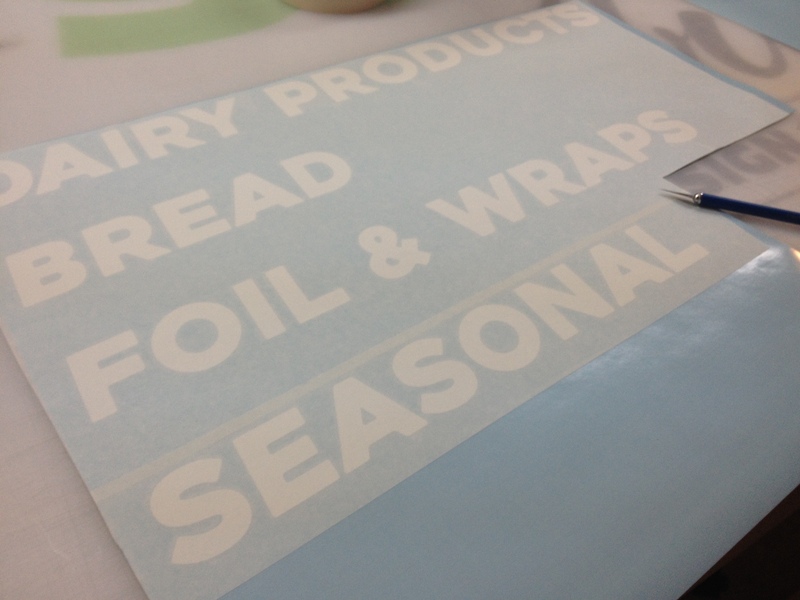 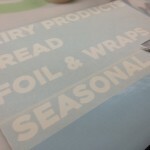 Cut vinyl was used for the list items so if future changes were required it’s simple to remove and replace. 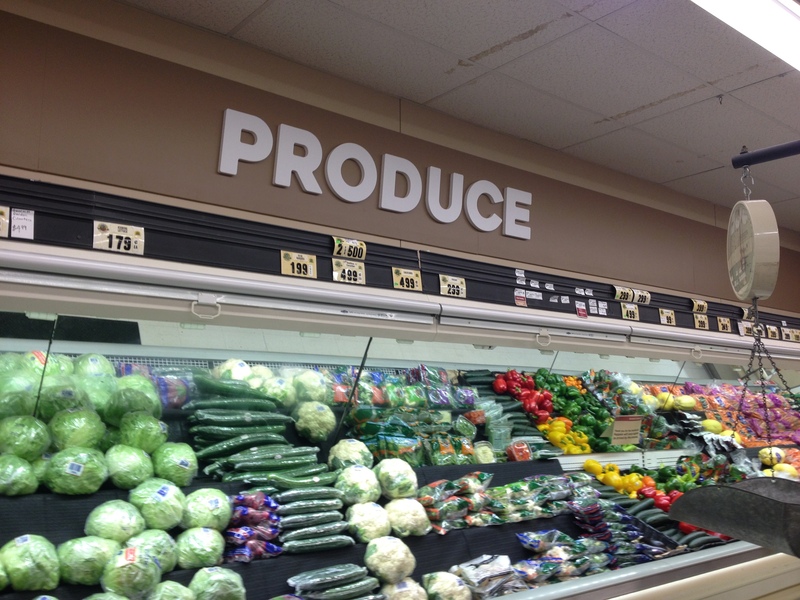 Photos were taken at each step (below) to see how these signs came to life. 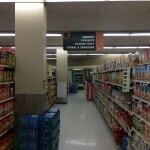 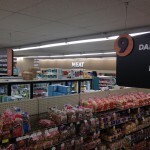 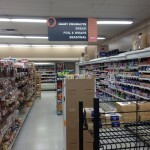 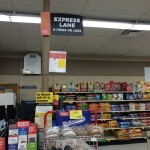 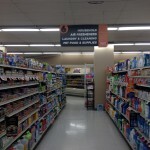 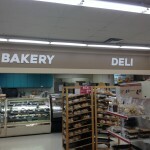 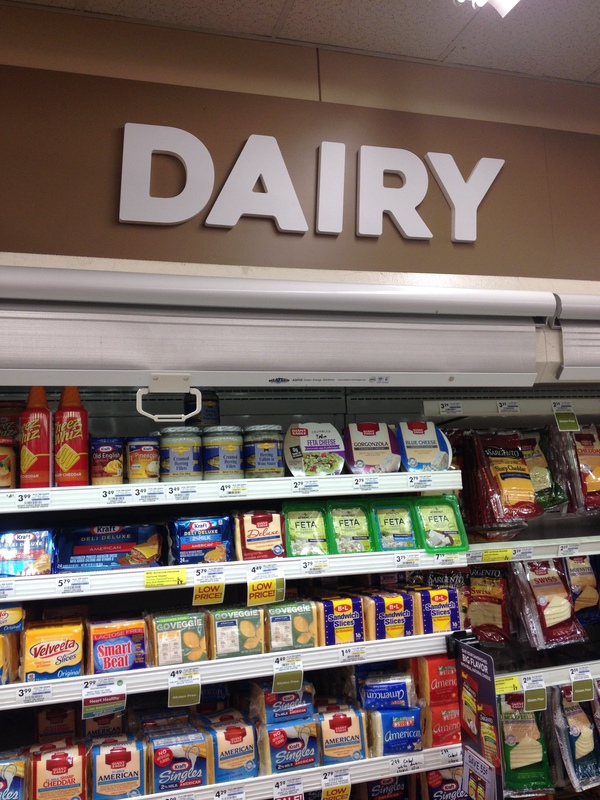 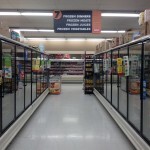 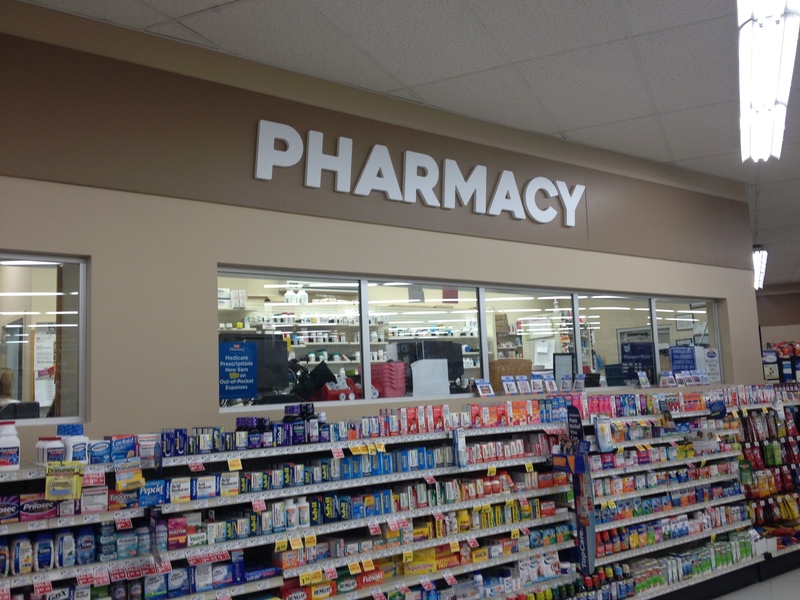 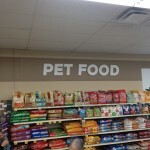 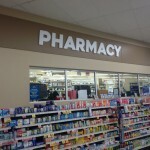 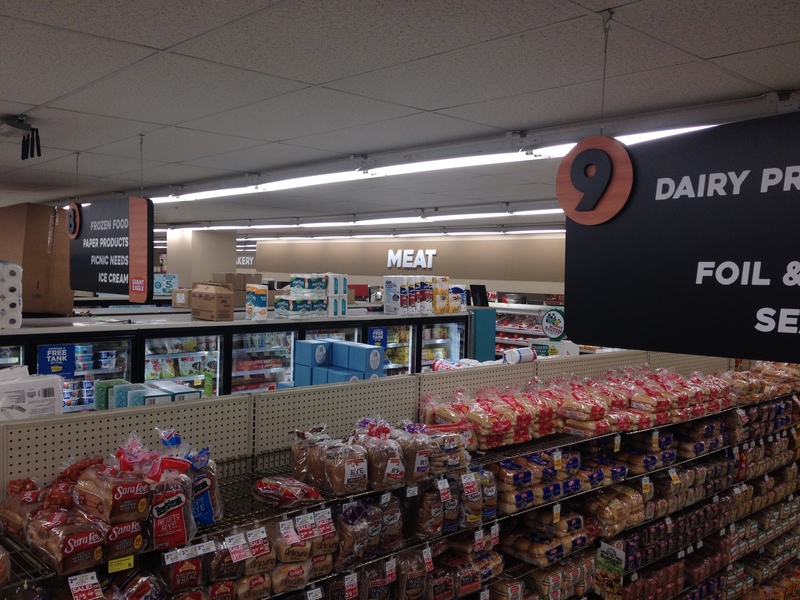 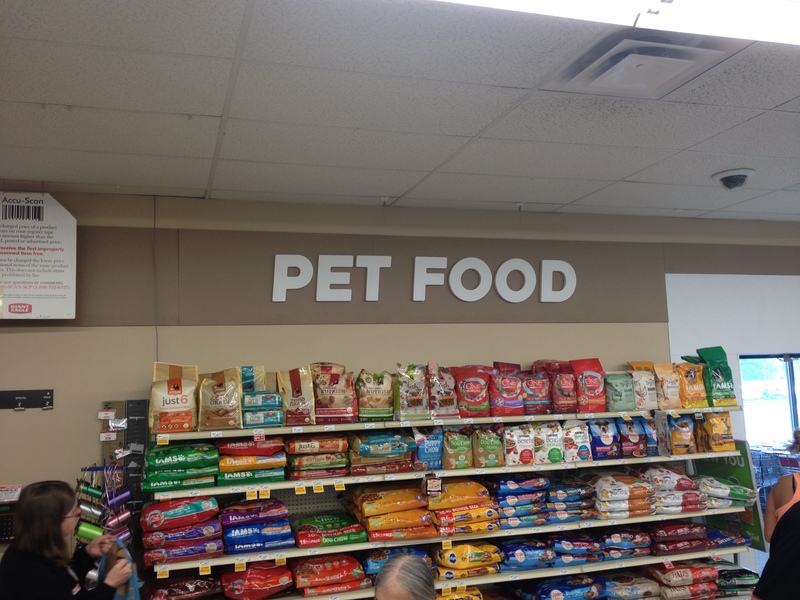 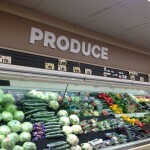 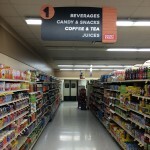 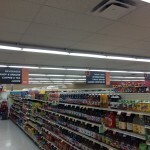 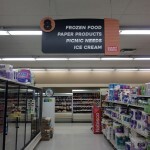 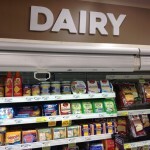 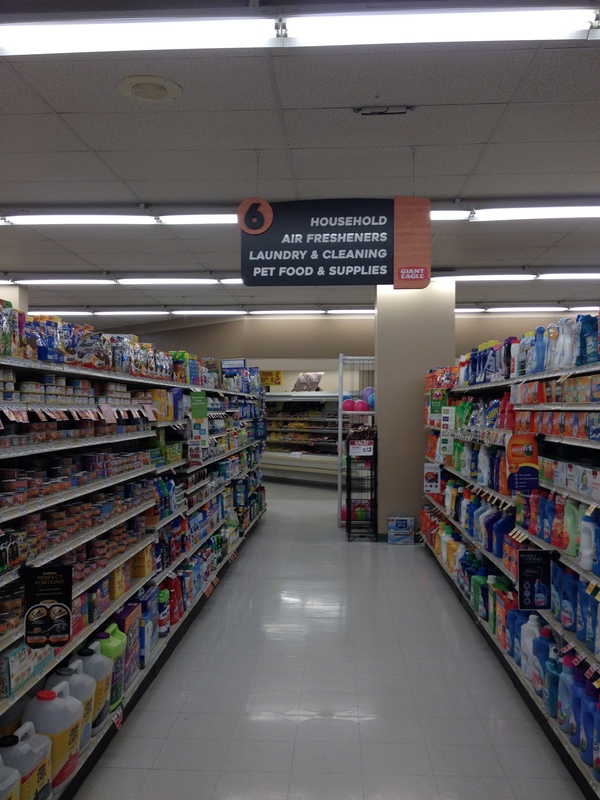 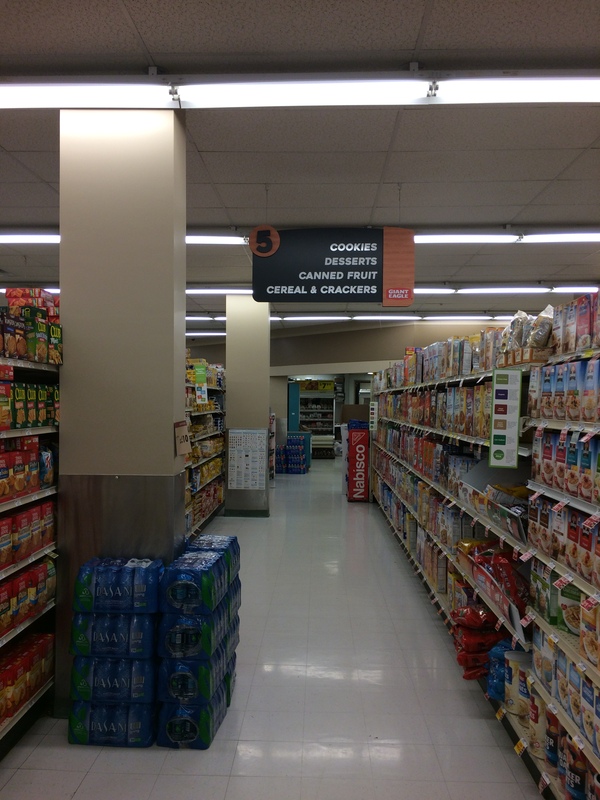 New 12″ dimensional letters labeling the various grocery departments have been added.